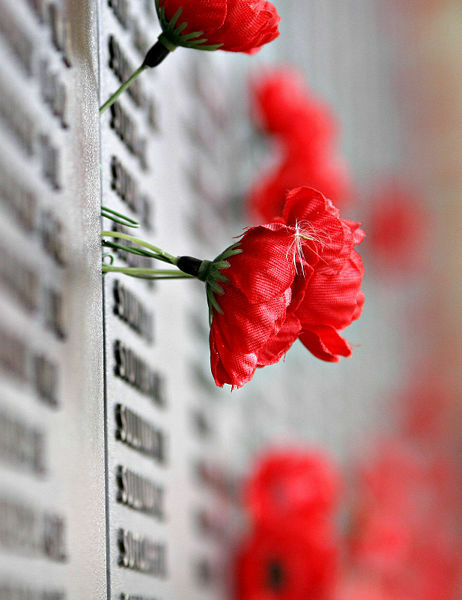 Do you prefer to pass Anzac Day as a solemn occasion or a commemorative celebration? Whatever you prefer, Weekend Notes has you covered with our comprehensive guide to Anzac Day events in Adelaide. Anzac Day reflection will begin on 24 April, with youth representatives from a variety of community groups holding Youth Vigils overnight. For dates and times, click here. Adelaide's official dawn service will take place at the South Australia National War Memorial on North Terrace, beginning at 6.15am. Other services will take place in most suburbs throughout town. Click here for a complete list. The service at the SA War Memorial will be followed by the Anzac Day March 2014. The March starts at 9.30am on the corner of North Terrace and Gawler Place, with saluting points at South Australian National War Memorial, South African War Memorial, Pathway of Honour and Saluting Base. For more information, including a map of the route, click here. The Army Museum of South Australia will open on Anzac Day after the dawn service and breakfast at Keswick Barracks. The museum hosts a range of exhibits dedicated to Australian soldiers and veterans of all wars from pre-Federation to Vietnam. Much like two up in the day of the Anzacs, officials relax the rules regarding two up on Anzac Day. You can partake at the Caulfield RSL, the Mail Exchange Hotel and the Crown Casino. Adelaide will host their very own Anzac Day clash between Norwood and North Adelaide at the newly revamped Adelaide Oval. The game will kick off at 3.20pm. If you'd prefer to catch the traditional game between Esseden and Collingwood, The Highway will be providing a 'super screen', half time entertainment, and $5.00 Coopers Pale Ale. The Gawler Jockey Club will host the Anzac Day races, with gates opening at 11.00am. Returned service personnel receive free entry. Paula McManus suggests Camp Gallipoli, a two day experience at Morphettville Racecourse, the same place Adelaide men enlisted for Word War I.
Aimee Addams offers a list of commemorative activities such as volunteering or writing a letter to a soldier. And to help protect an eighteenth century coastal fort, check out Dave Walsh's article about Fort Largs. I'll try to make the Semaphore Dawn service.